with different means, by various forces. The Din is a long form webcomic in the Drama & Action/Adventure genre. 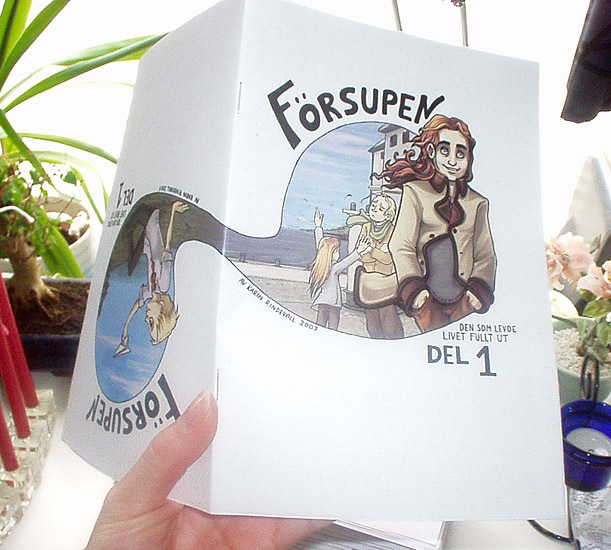 The comic was formerly known as Försupen a few years ago. Since I learnt a lot of dos and don’ts since then, I redrew/rewrote the first, old chapters into one solid Chapter 1. With a new, shiny Chapter 1, and lots of encouragement from fellow comic artists, I finally decided to take on the task of coloring the whole comic, which is why I decided to repost everything from the beginning on a big relaunch in March 2014. I’m Karin Rindevall. I also go by the nickname Karrey online. I work full time as an animator/game artist in Sweden. I have a strong desire to tell stories! If you want to know more about me and my work, you can visit my online portfolio, my blog, my tumblr, my instagram, my twitter or simply send me an e-mail! It’s also very important to know that one of my best skills is to wiggle my chin. I am so proud. Is there a way I can support you in creating the comic? Of course! You can either become a Patron over at my Patreon page, where you sign up to support me with a small sum one a month. Or you can vote for The Din once a day on www.topwebcomics.com . Becoming a Patron will help me reach my goal of taking more time off to work on the comic, which will eventually lead to more updates. Voting for The Din once a day will help me reach more readers. Can I buy the comic? Not yet, but I have plans of printing the comic every 4th or 6th Chapter. Until then, look out for giveaways. I plan to give away limited printed versions of each Chapter once in a while, since I print small batches of each Chapter to sell at conventions! The latest giveaway was the summer 2015. How long does it take you to make one comic page? When working full time on the comic, I finish 1 page in about 10-12 hours. When I work only in the evenings, while working full time somewhere else during daytime, I need about 14-20 hours for each page since my brain is all mush and the work gets split up in shorter sessions, naturally. Why are you only posting once a week? At my day job I'm currently on a demanding full time position which makes it hard to produce more than 1 page a week. Some weeks I manage 1-3 pages, but then next week I might only be able to produce half a page. My rule of thumb is that I won't post more pages a week than what I produce on average. My long term goal is to be able to take a few months off regularly to work on the comic, but right now I am unable to do that because of economical reasons and a lot of important projects at my day job. When and if it is possible, I am confident that I will be able to produce 4-5 pages a week and therefore build up a good post-2-pages-a-week buffer for the rest of the year. With that long answer out of the way, I’m happy to say that I do post extra updates once in a while when I have good production weeks! Keep your eyes peeled! In what program do you build your 3D references? Autodesk Maya. I would not recommend this program for 3D reference building if you are new to 3D. The sole reason I use this program is that I use it on every day basis at my work, and it’s quickest for me. I’d recommend Modo, SketchUp and Sculptris for reference building if you are a beginner! Also, mostly, I prefer to use the models as reference rather than paste them into Photoshop and draw on top in an other layer. It’s my advice if you want to keep the drawings dynamic! You can probably see where I drew right on top and where I didn’t. :) I prefer the ones where I didn’t! Is Rindevall your real name or did you just take that from Tolkien? I get this a lot, haha! Yes, Rindevall (not Rivendell) is my real last name and it means ivy cascade in the Gotlandic dialect of Swedish. My grandfather on my father's side founded this family name so... at the time being I am the only Karin Rindevall in this world, which means you can basically write Karin Rindevall, Sweden on an envelope and it will be delivered to me. Big thank you to friends and fellow artists who helped/help me out making this story during the years. Proof reading, support, discussions, all of it! I’d like to name a few, let me know if I forgot you! Robe, Vixie, Emelie Friberg, Jenny Hannula, Ola Holmdahl, Kichisu, Monkan, Nichole Baiel, Jeff McClelland, Adrian, Emily “Rin”, JesNCin, Adrian J. and Delta-V! this list will help you understand how and why the comic changed through the years. Enjoy! 2006 – Wrote a quick draft of the comic. It was very loosely based on a story idea I had back in 2000 (Försupen). Decided to still call the project Försupen, which means Drunken/Sottish in Swedish. It wasn’t a very wise choice: because the story from 2000 was about Fozt and his alcoholic issues, while the new story (2006) was more about Lorentz, Gregg & The Big Assault. 2007 – Drew Old Chapter 1. Introduction to Gregg and his family + Lorentz and his family.The Big Assault was barely mentioned and the lack of technology in Gregg’s time line while Lorentz’ time line had more technology really confused readers. 2008 – Drew Old Chapter 2. This is where I introduced the misshapen people out of the blue. Also brought some confusion. Where did they come from!? And why? 2009 – Thumb-nailed Chapter 3 & script editing. Started rewriting the script a bit. Also planned solutions to prevent the confusion about establishing the lack of technology and introducing the misshapen people. 2010 – Drew Chapter 3 & The Prologue. Here, I got some good feedback about the reading order. Before, every chapter was divided into two sub-chapter of 25 pages. One about Gregg’s time line and the other one about Lorentz’ time line. When printed, this made sense since you read each part from both sides of the book. But in webcomic form, I realized this was very confusing. I decided to make each part a separate chapter instead. In the end of the year I wrote and drew the Prologue – a solution to the confusion about technology and the introduction to the misshapen people. 2011 – 2012 – Drew Chapter 2 & changed comic name into The Din. Chapter 2 used to be Gregg’s part of Chapter 3 and Chapter 4 in the old “read from both sides of the book”-concept. But since I decided to put the chapters in a traditional order, I merged the parts and made it into Chapter 2. 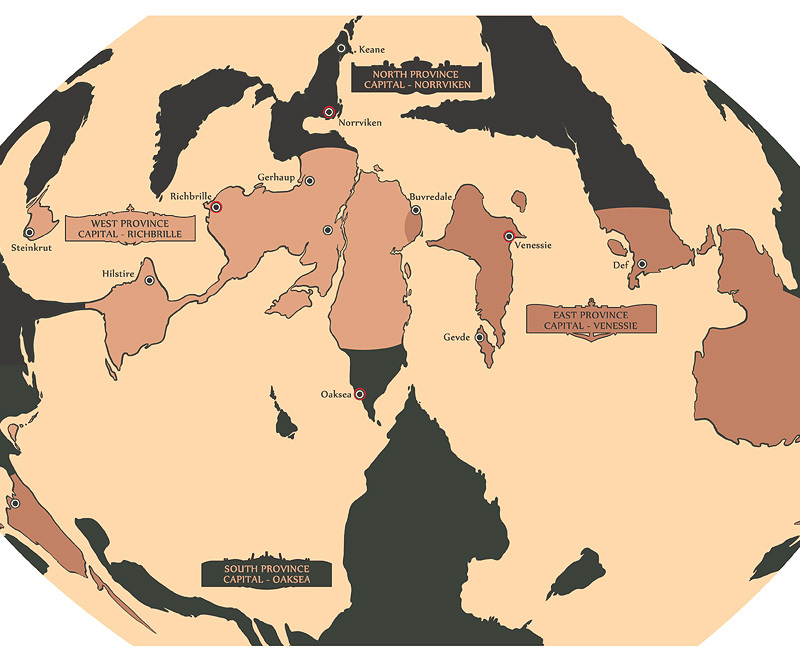 As I posted the Prologue, I also started rewriting the old Chapter 1 and Chapter 2 parts (from 2006-2007 ) into one merged Chapter 1, with better introduction to the characters and the world. When doing so, I completely removed the old Chapter 1 & Chapter 2 from the website’s comic page archive. I restructured the script a lot! One major change of the comic 2011 was that I finally changed the name into something more appropriate: The Din. Took a break from the comic when we had a crisis at my day-job. In December 2012 I decided to put the comic into hiatus since without a Chapter 1, the comic wasn’t really readable. 2013 - Drew Chapter 1 & Extra Prologue Pages. Interesting fact: I lost my job due to bankruptcy 2012. The months I was out of a job I managed to draw the new Chapter 1 in almost a month! Gave me some perspective on how slow I create comics in evenings while having to work 8h-10h a day. When drawing the new Chapter 1 I made some important test prints which made me realize I needed to change the format on the old pages. While working some more on the script I also decided to add an other 8 pages to the prologue. I decided to keep the homepage on hiatus for a bit longer to have time to do all these things, as I went to study full time for a few months at The Animation Workhop and then started working on a new day job again in August. I got a beautiful new homepage (assembled by the great Jennula). The webcomic relaunched with said beautiful homepage on April 1:st! After posting a good batch of the Prologue, I decided to make this comic in full color and started the process of coloring all pages made this far. I colored most of the Prologue and Chapter 1 during this year, as well as I drew new character introduction pages for Chapter 1. 2015 - Trucking on with edits & colors: Chapter 2 – Chapter 3!